My dear friend and colleague, Amy Friedman, is largely the reason that I found my way to becoming a teacher of writing. Years ago Amy encouraged me to send her an idea for a course, which I did, and before I knew it I was on the slate to teach at UCLA Extension Writers' Program. This opportunity changed my life. Amy continues to change lives, now as Executive Director of a non-profit organization she founded called POPS, which stands for Pain of the Prison System. POPS supports teenagers who have been impacted as a result of having a loved one in prison. A shocking 1 in 15 children in the United States has a parent who is or has been incarcerated! The first POPS club was launched at Venice High School and they have since expanded to 8 clubs in Los Angeles and reached 5 states. These high-school clubs meet weekly and foster healing and connection through creative expression and emotional support. One of the things I love most about POPS is that they encourage the students to break their silence and share their stories, moving through and hopefully beyond the shame, stigma and sorrow. Each year the organization publishes the students' work in an anthology -- see 2016's Before There Were Bars and 2017's Cracked Masks. The vision for POPS is to have a club in every high school in the nation. In order to get there, they need our support! And so I am extending an invitation for all of you to join me on Friday, November 2nd in attending the POPS gala, a Casino Masquerade at the Los Angeles Athletic Club. The evening features honoree, Christina McDowell, who authored the memoir After Perfect, about the impact of her father's incarceration, and is the co-producer of the 2018 documentary "Survivor's Guide to Prison." Scroll down to read more about the POPS gala as well as my conversation with Christina McDowell about her memoir and connection to this incredible organization. 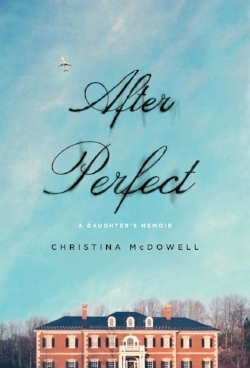 Christina McDowell is the author of the critically acclaimed book, After Perfect: A Daughter's Memoir. She has written for LA Weekly, Marie Claire, Porter Magazine, The Daily Banter, USA Today, The Detroit Free Press and more. Her work has appeared in The Washington Post, The New York Times, The Los Angeles Times, The Huffington Post, The Guardian, O (Oprah) Magazine, People Magazine, The Village Voice, among others. Born and raised in Washington, D.C., Christina is an advocate for restorative justice and criminal justice reform. She has traveled to state prisons to speak on behalf of families of the incarcerated and victims of crime. She is currently a student at Georgetown University and writing her second book. Growing up in an affluent Washington, DC, suburb, Christina and her sisters were surrounded by the elite until their life of luxury was brutally stripped away after the FBI arrested her father on fraud charges. When he took a plea deal as he faced the notorious Wolf of Wall Street Jordan Belfort’s testifying against him, the cars, homes, jewelry, clothes, and friends that defined the family disappeared before their eyes, including the one thing they could never get back: each other. Christina writes with candid clarity about the dark years that followed and the devastation her father’s crimes wrought upon her family. A rare, insider’s perspective on the collateral damage of a fall from grace, After Perfect is a poignant reflection on the astounding pace at which a life can change and how blind we can be to the ugly truth. Karin Gutman: How did you first get connected with POPS? 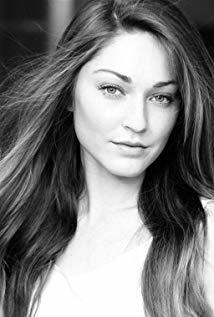 Christina McDowell: Through a friend I met in a twelve-step program. I have been sober and in recovery for 6 years. She introduced me to author, Amy Friedman, the club’s founder. When I met with Amy I knew immediately that I wanted to be a part of POPS, that she understood firsthand what so many children with incarcerated parents feel. KG: How would you describe POPS to someone who is just learning about it for the first time? CM: POPS stands for pain of the prison system. It is the first high school club in America that addresses the pain and isolation this population of students so often feels. Once a week, POPS students meet, write, talk, draw, and express themselves through the arts, healing from the pain of the prison system. It is a reminder that no one has to walk through this experience alone. KG: How is your story the same or different from the kids who participate in POPS clubs around the country, especially given that so many of them come from less privileged backgrounds? CM: When I was eighteen years old the FBI arrested my father on fraud charges then later I discovered he had taken my social security number, laundered money in my name and left me with 100k of credit card debt. I grew up in an extraordinarily white and privileged community in Washington, D.C. I never knew anyone in prison except for the characters I saw on television or in movies. Going to prison for the first time profoundly changed my perception of the world we live in, the way our media and Hollywood portrays prison and those inside prison. It opened my eyes at a young age to the injustices and systemic racism so many in our country are still facing. For example, African Americans are incarcerated at a rate 5 times higher than whites. Given my background, the access I had to resources during my father’s incarceration was far greater than many of the children who are suffering today, and it is always important to me that I acknowledge that difference in the context of speaking about this issue. But there are also many ways in which I am exactly the same as a POPS kid. My father was sentenced to 57 months in prison. He missed birthdays, graduations, Christmases, father's days, all of the anniversaries and holidays that make losing a parent to the system so incredibly painful. That feeling of not knowing when I would ever see him again, or when he would come home. Children of the incarcerated have no rights so the government doesn't owe them an explanation of where their parent is being held or taken to. Children just wait for a hand-written letter to come in the mail if they're lucky. My father was gone for about 4 years. And many people assume that he was in some kind of fancy white collar prison. Most "camps" no longer exist. My father was in a federal minimum security prison for the majority of his time in El Paso, Texas, right on the border of Juarez, Mexico. When my father came home I really wished that things in my family could have gone back to the way they were, but sadly, his imprisonment ripped our family apart. My parents divorced and my sisters and I each dealt with our feelings and what we were going through very differently. He came home around my 24th birthday. And then he was re-arrested and incarcerated a few years later, and spent another 9 months behind bars for breaking probation. Prison did not rehabilitate him. In my opinion, it just exacerbated problems that were already there. His second arrest was what solidified my need to separate myself from him, which I go into great length about why I made that decision in my memoir. KG: What kind of support did YOU have when your life turned upside down? CM: This is a tricky question. So many of us that have experienced this kind of pain of the prison system want to keep this pain a secret. So for a long time, I did, and I never sought help. Of course, I had my few friends at the time who knew what was going on and I would share certain things, but I never shared the extent to which I was suffering inside. It was very hard to process as I was experiencing it. The trauma of a parent’s arrest, trial, imprisonment—abandonment, is very layered and complicated. Studies are finally being done at the National Resource Center on Children and Families of the Incarcerated at Rutgers University, to explain this kind of complex trauma— the kinds of resources this population needs in order to heal, and is why POPS the Club is so important. KG: How did you know you needed to share this story in a public way? And that you were ready to take that on? CM: It happened unexpectedly. When Leonardo DiCaprio and Martin Scorsese’s film, “The Wolf of Wall Street,” was released, it enraged me that they would glorify this kind of behavior and life-style while not acknowledging the victims (including the silent victims, which are the children of those committing the crimes). My father was an associate of Jordan Belfort’s (the self-described “Wolf of Wall Street”) and I had an opportunity to stand up for those who were not only affected by greed in this country, but also the hurt of the families of those who committed the crime. I had an opportunity in the moment to go public with the story and I took it. I was just so done with Hollywood’s false narratives in these kinds of films. Thousands of people reached out to me after the article went viral, who share my story or a similar one. It was an incredible gift of connection, and not feeling alone. KG: How did you navigate writing about and exposing your family? Did your relationship with them, namely your father, change as a result of sharing your story? CM: My mother and two sisters have been incredibly supportive, and I don’t take that for granted. Unfortunately I do not have a relationship with my father today. It’s a question I am asked a lot. It’s possible to forgive someone without being in contact with them; but if that person who hurt you is unwilling to be accountable for their actions, as is the case with my father, then you will continue to re-victimize yourself if you remain in contact with them. This was a hard lesson I had to learn, but an important one. I allowed myself, with the support of a therapist and twelve-step group, to move through that pain and grief. KG: Did you find the writing process empowering and transformative? CM: Absolutely. Writing for me has always been like magic. Sometimes you can’t see the message until it is all out of you, our subconscious is always at work. Writing truly saved my life. Without a pen and my journals, I wouldn’t have gotten through some of my toughest, darkest days. The page always listens. And there is something to be said about our health when we release the thoughts, fears, resentments onto the page. I believe studies have been done to show that writing improves mental and physical health; it certainly does for me. KG: What was your writing process like? Was it easy to find the structure? What was the most challenging part for you? Did you (do you) have a writing ritual? KG: How did you land a publishing deal? CM: I was very lucky in that a few publishers read the article I wrote for the LA Weekly criticizing the “The Wolf of Wall Street,” so I had the opportunity to meet with them and send them my proposal. That said, I was prepared because I had spent years quietly writing and re-writing, so I’m a big believer in that saying, luck is when preparation meets opportunity. KG: I have noticed in readers’ reviews that many relate to your character’s journey, that it’s not a “poor little rich girl” story. That is a remarkable achievement. Is this something you consciously worked at? How did you approach the writing process so that your journey would be relatable? CM: Thank you. I definitely credit my editor, Allison Callahan, at Gallery Books for helping me dig deeper. She challenged me in places where I needed to be more accountable for the mistakes I made in my life. But I was also in a place where I was ready to hear it, to go from being a victim to being a survivor, and that meant owning up to my part in every relationship in my life and then translating that to the page. I think we can all relate as human beings to feeling like we have somehow failed in some way, or perhaps we struggle with identity, or reminding ourselves that our bank accounts aren’t a reflection of our self-worth, or coping with the loss of a parent to alcoholism, or to prison. I always knew this story was about so much more than the loss of money, but about the loss of family, American values, love and accountability. I always say that we are powerless over the cards we are dealt, but it’s up to us and only us what we do with them. KG: Will you be attending the POPS gala on November 2nd? Can you tell us about it? Yes! I am very humbled to be this year’s honoree along with the class of 2019. 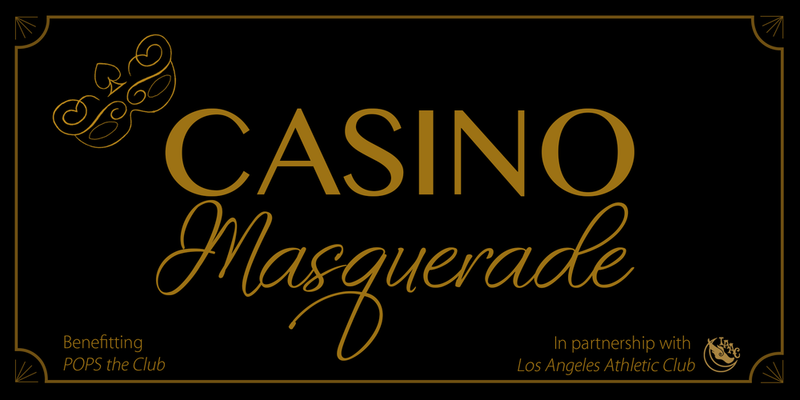 We are having a Casino Masquerade at the Los Angeles Athletic Club downtown to raise money for our ever-expanding programs. There will be games, jazz, dancing and cocktails. I am so excited to dance the night away celebrating such an important, and life-changing organization. I hope you will join us! All are welcome! KG: Yes, I will be there! Why should someone who has no connection to the prison system come out and support POPS? Studies now show that nearly half of all U.S. children have been impacted by incarceration. That is an overwhelming number of youth in the wealthiest country in the world to be suffering—youth that are at high risk for homelessness, hunger, and complete isolation. Just think about the long-term ramifications of this. No child in this world should ever feel alone, or should ever be homeless on the street. We can always do more to fight to keep our communities together. KG: From a creative and artistic standpoint, I am curious if you think that this story is the hardest one you’ll ever tell? Has your creativity opened up in the aftermath of getting this origin story out? CM: Oh absolutely. I do think in many ways it was the hardest story I will ever tell. Initially, of course, because I had never written a book before and I was learning as I went. It took years to form the story, a lot of trial and error, failing and starting over. And also just because of how emotionally painful it was to re-live each experience on the page. I certainly wouldn’t be writing fiction today without having told this story first. I always used to tell my friends and family while I was writing it that I just have to get it out so that what’s left inside of me can find its place to live. I'm currently writing my first novel, which has been an entirely different experience. Of course, it is heavily influenced by my childhood. It takes place in Washington, D.C. and is about the murder of a wealthy family. It's an exploration of classism in America, old money versus new money, the disintegration of values—if they were ever really there to begin with—power and white fragility. Clearly I'm drawn to comedy! But in all seriousness, I am having way more fun writing this one than the last. Your presence is requested for a night of cocktails, hors d'oeuvres, live music, and casino games benefitting POPS the Club. Glam it up, put on a mask, and party for a cause! The gala benefits POPS, which stands for Pain of the Prison System. POPS supports the long-overlooked community of teenagers who have been impacted by our prison system as a result of having a loved one in prison. 1 in 15 children in the United States has a parent who is are has been incarcerated. These young people have been traumatized by stigma and shame. Most people are unaware of this fact because these youth have long been silent. POPS is working to amplify their voices, through weekly work in the high school clubs and through published book collections of their writings and artwork.